In this report we examine the level of digital transformation of SMEs in Latvia in comparison to SMEs from other EU countries. We take into consideration both digital business environment (digital infrastructure and digital skills of human capital) and adoption of digital technologies. The introduction of digital technologies such as websites, social media, e-commerce, electronic information sharing and cloud computing simplifies and accelerates decision making, allows effective brand building, facilitates transactions and makes it possible to reach new customers. Why is it so important for SMEs to go digital? Internet and digital tools become a must in the context of the Digital Single Market strategy. The regulations proposed within the DSM greatly enhance the opportunities stemming from successful digital transformation, as well as pose risks connected with losing markets and customers due to digital business illiteracy. Although the digital revolution affects both ICT and traditional businesses, it puts significant pressure on Small and Medium Enterprises (SMEs) that are relatively more sensitive to global competition occurring within the Internet compared to their stronger, bigger counterparts. Are Latvian SMEs ready to compete on the Digital Single Market? Our analysis shows that SMEs in Latvia benefit from high-speed, high-quality and relatively cheap Internet, which is due to a high coverage of FTTP (Fiber to the Premise) technology in the country. The level of digitalisation of human capital in Latvia is also promising: the Latvians have very high digital skills in communication, information and problem solving. 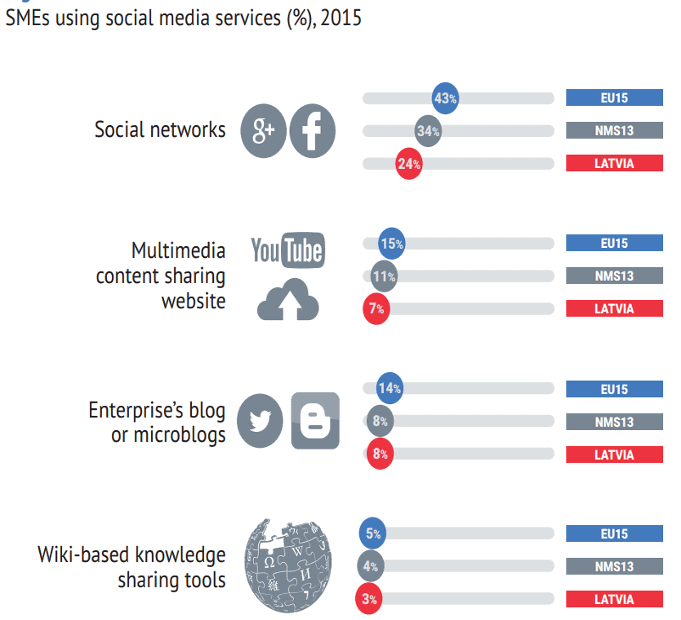 On the other hand, Latvian SMEs tend not to use digital technologies as much as SMEs in other EU countries. 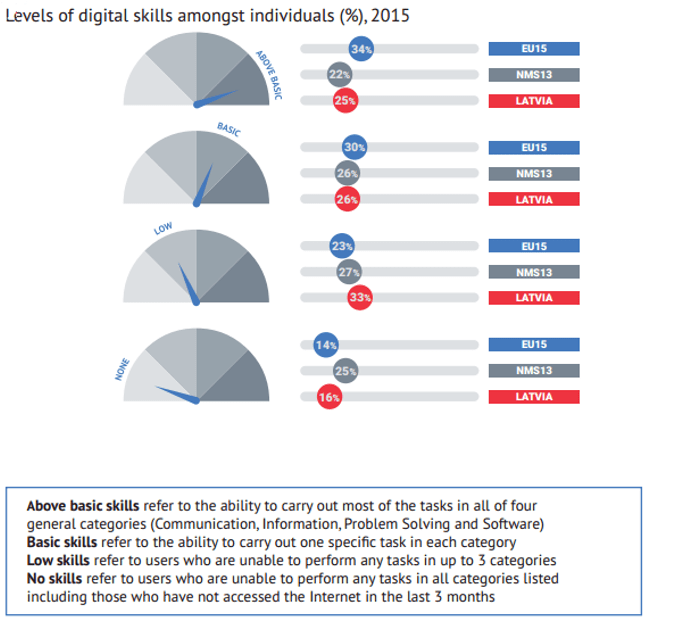 The biggest gaps appear in usage of cloud computing services and adoption of digital management tools, which might result from the lack of software skills that Latvian citizens report. Moreover, the utilisation of websites, social media and e-commerce sales channels is also much lower than in SMEs from other EU countries.